Since an encounter with truffled fries at the Jolly Pumpkin in Ann Arbor, Mich., I've been obsessed with truffle salt. Over the last few months, I've been experimenting with it in a number of different dishes, and I've learned that the earthiness of truffle goes well with a host of ingredients. Char siu, one of my favorite Chinese foods, is a traditional preparation of spiced, roast pork. And since pigs eat truffles and are used to find them, I figured both flavors would work well together. It may be slightly strange logic, but it worked. The result? A delicious melding of the East and West. Preheat the broiler on high heat with the oven rack around 8 inches below it. 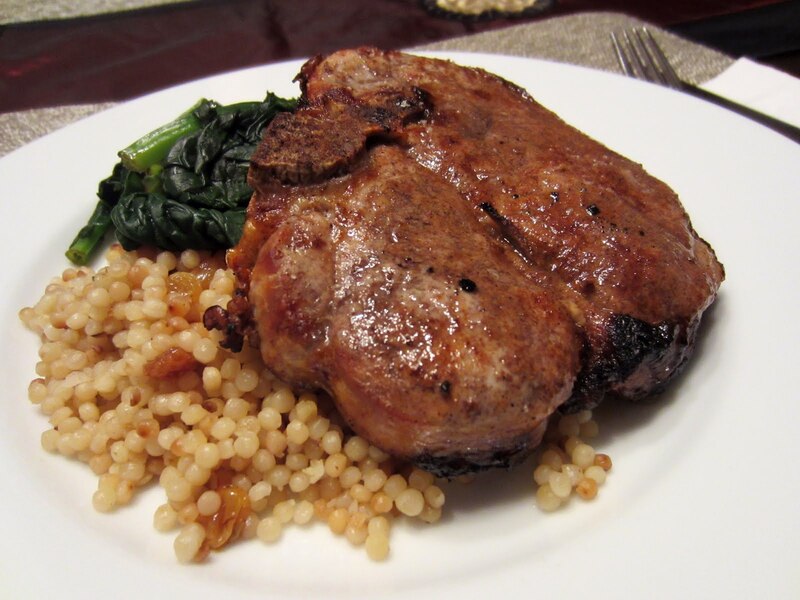 Coat the pork chops with olive oil, Chinese five spice, and brown sugar. Place them on the broiling pan. Broil the chops for 8 minutes or until the top is nicely browned. Flip the pork chops and broil for another 3-4 minutes until they reach an internal temperature of 145 degrees F. Take the pork chops out of the oven and cover them loosely with aluminum foil. Allow them to rest for 5 minutes (this will bring up the internal temperature and make them juicier). Sprinkle truffle salt on both sides to finish. I also have been in love with truffle salt since sampling the truffle fries at the Jolly Pumpkin! :) Thanks for sharing the recipe!